At our Toastmasters meeting today, Bruce, a club officer and fellow member, gave us a great speech on mentoring in Toastmasters clubs. When you start a new activity, join a new company, or join an organization like Toastmasters, having a mentor can help make your life easier and smoother. 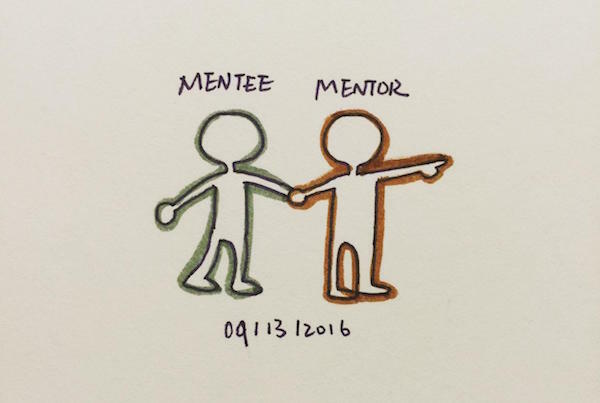 A mentor helps you get familiar with environment, get necessary info and possibly give you tips and advice to help you grow. When I joined Toastmasters to practice my public speaking skills in English, my second language, I felt a little unsure and didn’t know where to start. Luckily, I got a mentor that helped me get through my first three speeches. We rehearsed and iterated the speeches together. She also helped me enunciate pronunciations for certain English words. This mentor-mentee relationship had great & positive impact on my public speaking journey and life in general. Long story short, now that I’ve been in Toastmasters for more than four years, and held both club and district officer positions, I’ve experience great growth in my personal life and knowledge on this organizations. I’d love to offer my knowledge and time to people when I can, and feel happy to see their growing confidence of being a public speaker, an officer and other areas in life. Toastmasters International empowers individuals to become more effective communicators and leaders. Yingying Zhang's Blog by Yingying Zhang is licensed under a Creative Commons Attribution 3.0 Unported License.